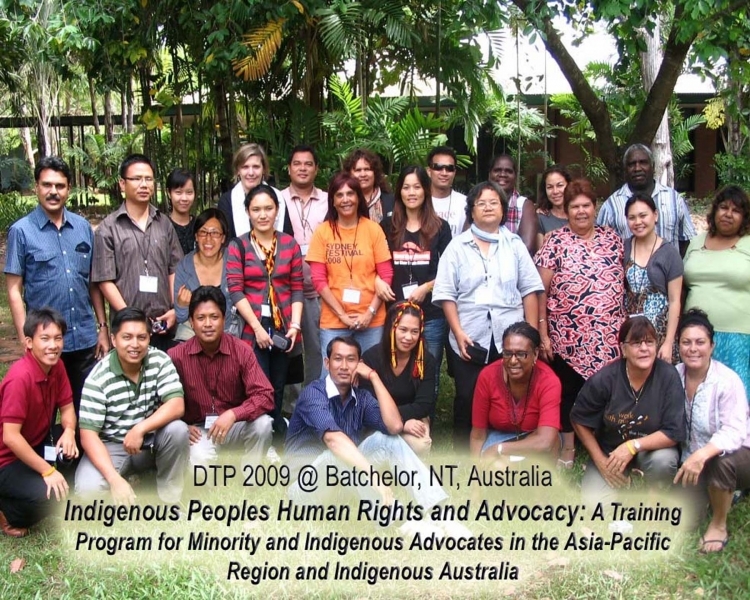 The Diplomacy Training Program’s 2009 Asia-Pacific Regional Capacity Building Program on Indigenous Peoples, Human Rights and Advocacy was launched in Darwin from May 4th- 13th 2009 in cooperation with Fred Hollows Foundation (FHF) and the Batchelor Institute of Indigenous Tertiary Education (BIITE). There were 25 participants from Indigenous communities across Australia and from nine other countries across the region. The program focused particularly on the recognition of Indigenous peoples’ rights in international law and human rights standards. The program also focused on how Indigenous advocates could use knowledge of the UN system to promote respect for human rights, and to bring about greater accountability when human rights are denied or violated. Issues of recognition of special relationships to land, and of traditional knowledge systems were challenges common to Indigenous peoples across the region. In some cases, lack of recognition or respect for Indigenous peoples’ rights has led to displacement of communities and to conflict. With approximately half of the participants coming from Australia, there was a focus on the local context for Indigenous advocates in Australia – in the Northern Territory and beyond. Participants had the opportunity to learn from one another, and also to learn about some of the important human rights challenges in Australia and the region. They learnt about the Indigenous Jumma people of the Chittagong Hill Tracts in Bangladesh, the forced displacement of Indigenous communities resulting from development in Cambodia, the situation of the ethnic minorities in Thailand and the war being waged by the military government in Myanmar (Burma) on ethnic minorities such as the Karen. There was strong representation from the Philippines – from Mindanao and from the Cordillera region in Luzon where mining activities have led to community conflict and to environmental destruction.